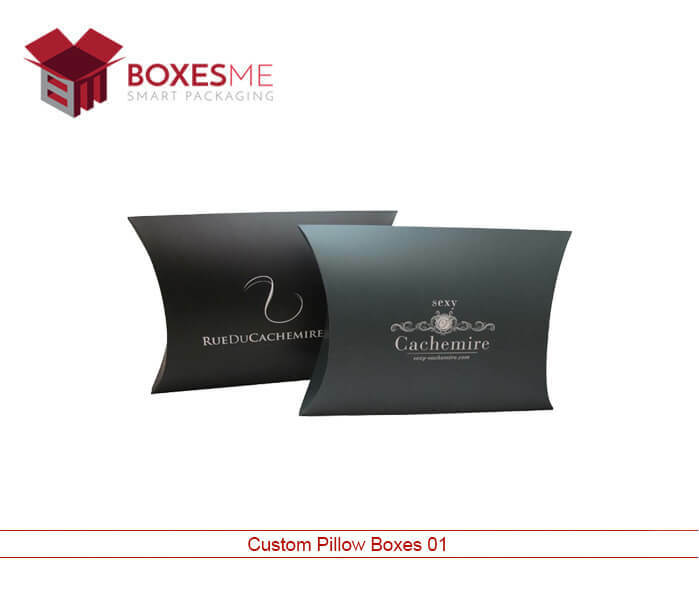 Pillow style boxes are a perfect fit for presenting the products in most stylish and trendy packaging. These can give more charm and attractiveness to your products so that you can get more sales revenue. Making your business successful through exciting and marvelous packaging designs is the best strategy, which is not possible for every business owner to achieve. These pillow style boxes are perfectly fit for packaging soaps, food, cosmetics and much another type of products to make them safe and look prettier. Companies are usually looking for extravagant designs for making their product stand out in the market. 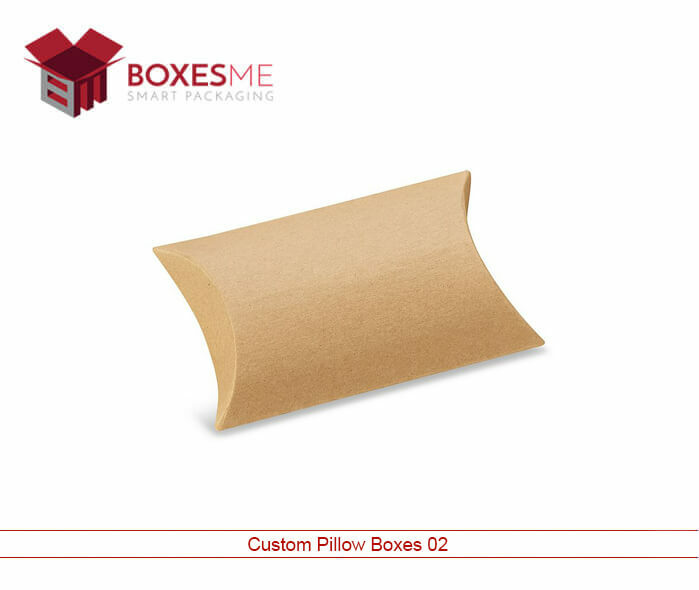 Pillow boxes are exceptionally designed in the highly customized way with the excellent quality material of cardboard or Kraft. These are best considered for selling products at retail stores as these boxes look more decent and appealing when placed on the shelf with other products. These can also be made more charming and safe by applying perfect printing solution along with aqueous coating. BoxesMe has highly innovative designers and manufacturers so that clients can get free design support from them. This can help different industries to come up with new and modern designs of packages for presenting their products effectively at retail stores. 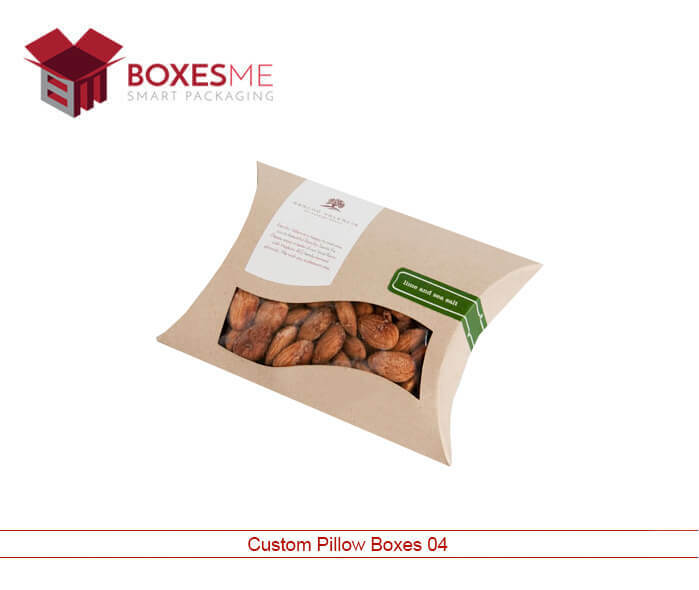 Custom made pillow boxes are manufactured by the organic and easily recyclable material. Their quality assurance is most important as these are used for packing so many things to give them safe and pure delivery. BoxesMe has hired experts who can provide the best designs and templates for making these boxes attractive and perfectly reflective for presenting the product effectively. These are made in different colors, size, and shape and this depends upon the quality and quantity of product. Adding up more charm and looks by using vibrant and bold colors can make your business flourish fast. Luxury printing solutions are used to give information about the packaged product. This printing also is done by using high tech modern machines and excellent quality inks. These boxes can also be used to package food products so everything needs to be hygienic and of good quality to avoid any type of damage. 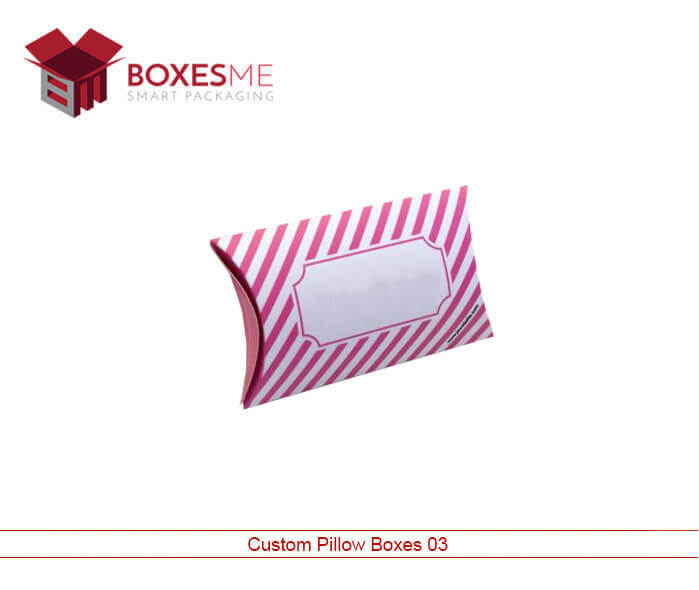 Custom pillow boxes no doubt our best and have exciting designs to give more grace and marvelous look to products. These are designed in different designs, as buyers want these boxes for different events and products. The designs, which are usually preferred for these boxes, are die-cut, window, corrugated, and many other astonishing designs. Different type of coatings can be used to make them look more beautiful like gold or silver foil. BoxesMe is facilitating their clients by providing free shipping service so that products can be delivered safely.